There are a lot of appliances in the marketplace that claim to be the best and, as we turn our attention to holiday cooking and baking, we thought it would be valuable to understand how one manufacturer stands out in a class all its own. Wolf distills legendary professional heritage, power and finesse into cooking equipment whose precise control ensures the dish you have in mind will be the dish you bring to the table. 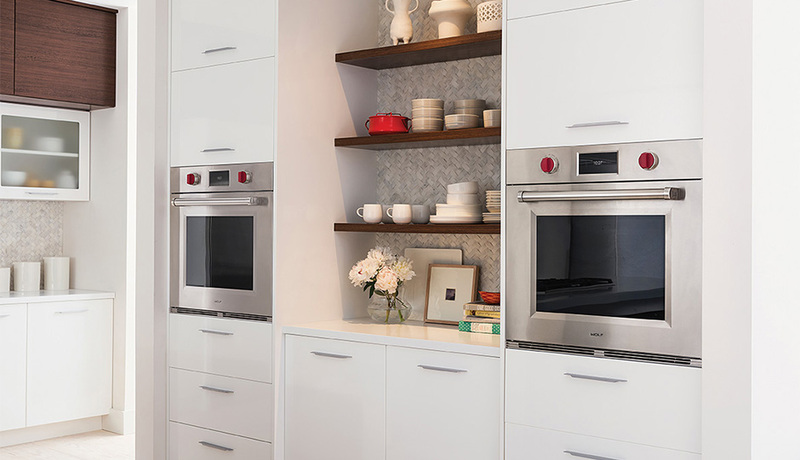 While Wolf offers a wide array of industry-leading appliances (Gas, Dual Fuel and, now, Induction Ranges; Built-In Ovens; Cooktops; Specialty Modules; Ventilation and totally unique Coffee Systems), their technology just keeps getting more exciting. Wolf’s new M Series wall ovens have taken the cooking world by storm with their advanced Dual VertiCross™ convection, offering the most consistent cooking of any oven, and 10 cooking modes that control heat and airflow so every dish comes out exactly the way it should. Crispy, gooey, flaky, savory…what you want is what you get with this oven. Turn on an M series oven, and the advanced convection system quickly saturates the cavity with even, consistent heat. Two corner column fans with parallel vertical heating elements work in concert, providing just the right heat and airflow for any dish. No need to adjust racks or rotate pans, whether you’re baking three dozen cookies or preparing lamb, new potatoes and your favorite mac and cheese all at the same time. 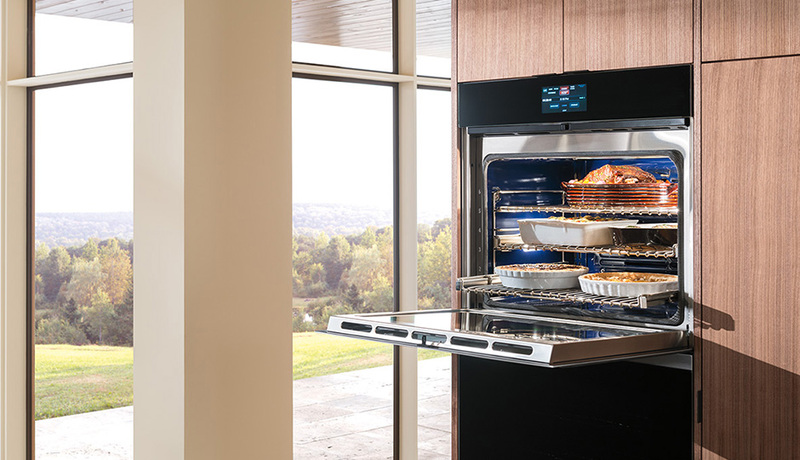 Really, there’s no taste transfer, so you can save time and cook an entire meal – including dessert – at the same time in Wolf’s M Series oven. Whether your kitchen is traditional, modern or somewhere in between, there’s an M series design that will work beautifully with your décor. 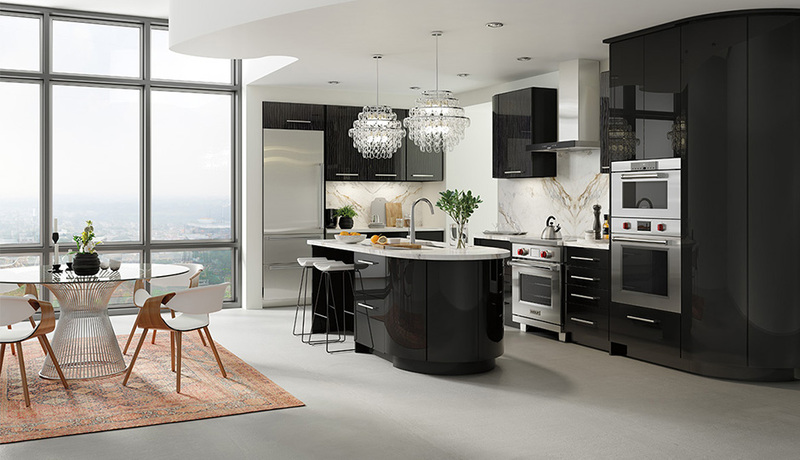 For those keen on a more urban, contemporary style, Wolf offers a minimalist handleless design and color LCD touch panel in their Contemporary model, a look sleek enough for even the most visionary kitchen. The Professional is bold, confident and eminently functional, with the classic pairing of iconic Wolf red control knobs and gleaming stainless steel. 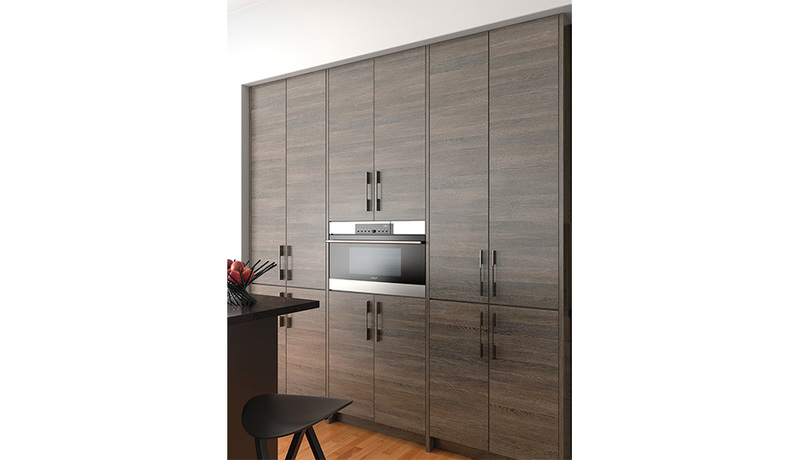 And Transitional, with its stainless frame and black glass, enhances almost any type of kitchen. Whichever look you choose, you’ll enjoy the advanced performance that has made Wolf the choice of discriminating cooks for almost eighty years. 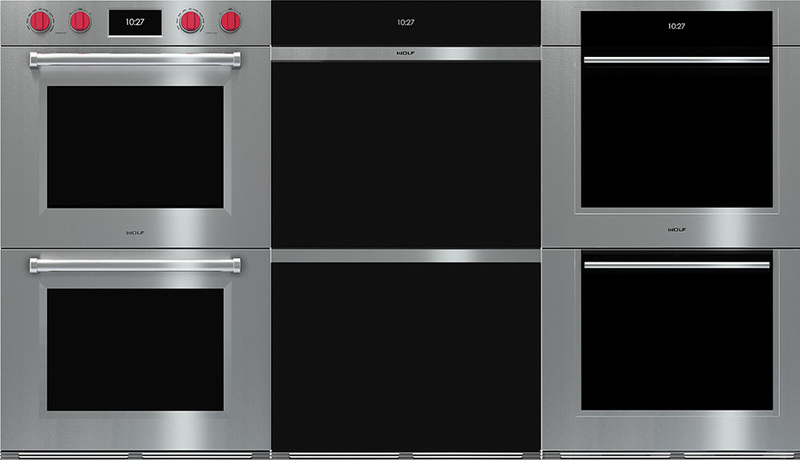 In addition to the new M Series Ovens, Wolf has just introduced the industry’s first 36″ Induction Range. This is an exciting alternative to gas. The Wolf induction range gives you a cooktop with incredible speed and control – boils water faster than gas, yet gives you precise high end to low end control. Go from boil to true simmer in seconds. 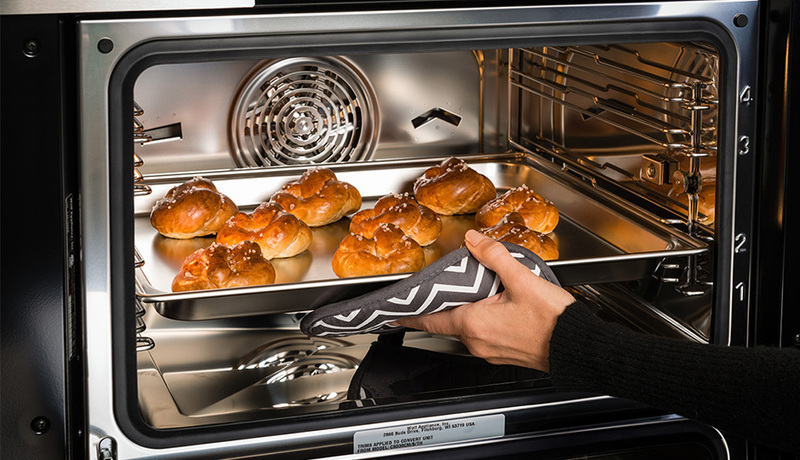 Down below, a dual convection oven bakes and roasts with reliably even heat. Available in 30″ and 36″ sizes – the 36″ size is exclusive to Wolf. If you believe that 375° should be 375° everywhere in your oven, Wolf is for you. Many ovens have hot and cool spots that can make cooking or baking a hit-or-miss proposition. The Wolf induction range is different, with an advanced E series dual convection oven. Two fans and four heating elements create more uniform heat throughout the oven and across all racks. The efficiency of circulating air around the food, produces faster, more consistent and more predictably delicious results for your baking, roasting, and broiling. 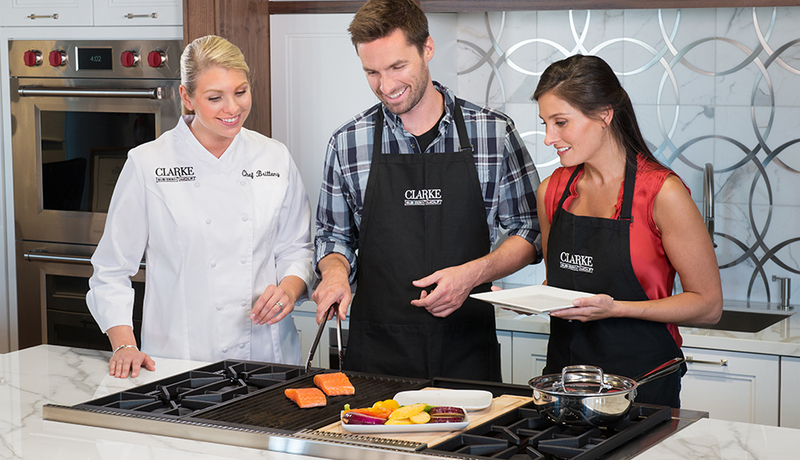 You’ll find the very first Wolf Induction Range in the country on display at Clarke’s Official Sub-Zero & Wolf Showroom and Test Kitchen at 7 Tide. If You Bought Just One Wolf Appliance, This Might be the One! 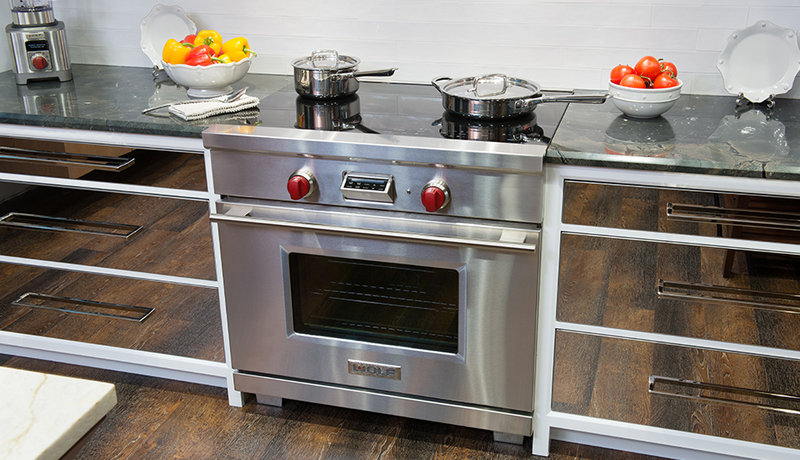 While Wolf lovers wouldn’t give up any of their appliances, if you ask designers, chefs and homeowners alike, Wolf’s Convection Steam Oven is still singular. It’s almost magical, the way the Wolf convection steam oven works. Choose the cooking mode combining steam and convection that’s ideal for your dish. The oven’s unique digital technology senses the amount and size of the food, and automatically (really!) adjusts all the details of cooking. Case in point: filo-wrapped ice cream. Hot, delicate, crispy-brown pastry surrounds ice cream still firmly frozen. This would be impossible for any other oven. Maybe you’d like to boil a dozen eggs…in the carton! Done. Create a delicious Italian dinner by placing a pound of dry pasta, water, fresh stewed tomatoes and basil in a shallow tray…hit a button and you’ll be ready for dinner minutes later without multiple pots and pans to clean. For reheating foods, no microwave or conventional oven can hold a candle to Wolf convection steam. From rice dishes to pizza to fine cuts of meat, you’ll be astonished at the flavor and appearance. Even bread several days old becomes bakery fresh again. When leftovers taste fresh and delicious, you’ll waste less food. For holiday baking – or every day cooking – you simply can’t match the performance of Wolf appliances. 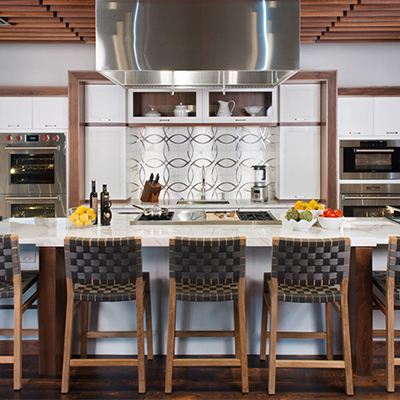 There’s only one way to truly appreciate these appliances and that’s with a Wolf Test Drive at Clarke, New England’s Official Sub-Zero & Wolf Showroom and Test Kitchen, now open at 7 Tide in Boston Seaport.